…Had she won, Miss Williams would have tied the great Aussie champ Margaret Court’s all-time record of 24 Grand Slam titles. 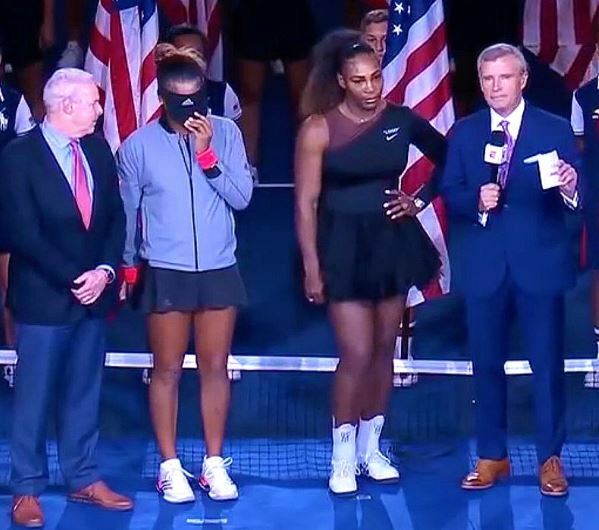 Instead she played badly – and beating up the umpire testifies not to your greatness but only to self-indulgence and ill-discipline: it’s the consolation of losers. But so what? Aside from being singularly ill-named, Serena is merely the latest raging boor and narcissist who failed to (as I was saying only the other day) keep her head and play the game. What made the weekend’s fiasco depressing and unnerving was the reaction of almost everyone else.